BUTUAN CITY, Aug. 3 (PIA) – The officials of the National Commission for Culture and the Arts (NCCA) will meet with the local media here this month to brief them on the NCCA’s call for proposals for calendar year 2017. “The NCCA, a prime government arm under the Office of the President (OP) dedicated to the promotion and development of Philippine arts and culture will be gathering the media partners here in Butuan City to brief them on our programs, which include the call for proposals fro calendar year 2017,” bared Rene Napenas, NCCA Public Affairs and Information Officer. Napenas further disclosed that the said gathering is aimed to encourage cultural and art groups, academic institutions, local ar organizations, civil society organizations to get involve in culture and arts and submit their project proposals for the NCCA Grants Program for 2017. “We will be very glad to coordinate with you on this matter and you may contact Anne Cabrera, TV/Media Coordinator at telephone number )-2) 527-5529 local 207 or email at ncca.paio@gmail.com for any inquiry or clarification regarding the event,” added Napenas. BUTUAN CITY, Aug. 3 (PIA) - The Gender and Development (GAD) day care center under the City Social Welfare and Development Office (CSWDO) here is set to hold the 39th Induction Program of its Parents’ Committee on August 5, 2016. According to Fe Labitad, in-charge of GAD day care center, that the induction program has been their yearly activity and has been considered as their way of camaraderie among parents and teachers. “We always hope to intensify our good working relationship with the parents of our preschoolers and we want to establish good communication with them as we take care of their children in the school,” expressed Labitad. During the program, Butuan City mayor Ronnie Vicente Lagnada will lead the induction of officers. City councilor Atty. John Gil Unay, Sr. and Atty. Rema Burdeos, committee chairperson on Women/Youth/Children and Family are also expected to deliver their messages to all the parents and pre-school teachers. The GAD day care center has also invited regional director Abner Caga of the Philippine Information Agency (PIA) Caraga as one of the guest speakers during the induction program. This was the statement of Genevieve Elorde, administrative officer II of ECC Regional Extension Unit (REU) in Butuan City, during a press conference of the Regional Coordinating Committee chaired by DOLE Caraga. Elorde bared that in the month of July, they conducted the Quick Response Program to victims of a work-related accident in a private company in the city. “We provided P500.00 worth of grocery items to Aldrin Masamayor from Barangay Bading, and Julito Amper from Barangay Bancasi. They were also informed on the filing process for EC death claim,” she said. 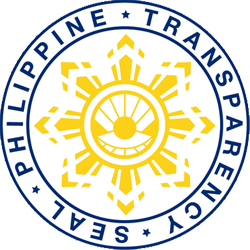 “As mandated by law, we, from ECC will continue to formulate policies and guidelines for the improvement of the employees’ compensation program; review and decide on appeal all EC claims disapproved by the Systems; and initiate policies and programs toward adequate occupational health and safety and accident prevention in the working environment,” Elorde underlined. Saturnino "Jan" Estanio, Jr., an anchorman from dxRS-RMN in Surigao City also received the same benefit last month. Meanwhile, Elorde further cited that they were able to conduct the accident investigation in a small-scale mining operation in Barangay Ellaperal, Placer, Surigao del Norte, where a poisonous gas that caused suffocation to local residents was reported. BUTUAN CITY, Aug. 3 (PIA) – The Department of Public Works and Highway (DPWH) Caraga will be conducting a 24-hour axle load survey for all trucks and trailers under code number 1-1 to 12-2 (six wheelers and above) as listed in Maximum Allowable Gross Vehicle Weight (GVW) per Republic Act 8794. The operation will start noontime of August 8, 2016 until 12:00 p.m. of August 15, 2016 to the specified vehicles coming from Surigao to Agusan and Davao to Agusan that will pass the Weighbridge Station in Ampayon, this city. “During this period, the anti-truck overloading and apprehension operations will be temporarily suspended,” said DPWH-13 regional director Danilo Versola. The last comprehensive axle load survey was conducted in 2010 and DPWH is reviving it this year under the National Road Traffic Survey Program (NRTSP). According to DPWH undersecretary Raul Asis, there is a need to update the Equivalent Single Axle Load (ESAL) factors in the Road Traffic Information Application (RTIA) database, which is a vital parameter in network planning and design. For the smooth execution of the survey, Asis has directed the Department’s regional heads to facilitate the convening of local stakeholders comprising the local government units (LGUs), truckers association, barangay officials with jurisdiction over the survey sites, Philippine National Police (PNP), Land Transportation Office (LTO), and all other involved parties. TANDAG CITY, Surigao del Sur, Aug. 3 (PIA) – The Department of the Interior and Local Government (DILG) Provincial Office here will hold a one-day Climate Change Expenditure Tagging (CCET) training-workshop on Thursday, August 4 at the Shacene KTV Bar, Mabua, this city. The CCET is introduced to the local government units to ensure its Climate Change actions are not only backed by funds but are also effectively monitored. Also, the activity was deemed very timely for the city’s preparation of the Annual Investment Plan. SAN JOSE, Dinagat Islands, Aug. 3 (PIA) – The Bureau of Fisheries and Aquatic Resources (BFAR) provincial office in coordination with the lone congressional office here has turned-over recently the Community Fish Landing Irrigation System and Post-Harvest Facilities with a total cost worth P2,850,000 to the local government unit of Barangay Sta. Rita, Cagdianao town, this province. According to Teodoro L. Alipayo, executive assistant of Cagdianao Mayor Marc Adelson Longos, the construction of the said facility aims to improve and uplift the socio-economic condition of the fisherfolks sector and promote sustainability of aquatic resources in the area. He said that it also serves as a hub for trading and trading of fish and other seafood products as well as training center for fish processing, value adding and conservation and protection of fisheries resources. The community-beneficiaries were so grateful and promised to take care and utilize the facility for its intended purpose. SURIGAO CITY, Surigao del Norte, Aug. 3 (PIA) – A New People's Army (NPA) rebel was killed after government security forces clashed with a group of NPA rebels at the back of the municipal hall in Malimono town in Surigao del Norte on Aug. 1, 2016. 30IB Bravo Company Commander 1st Lt. Ken Enciso identified the victim as Junard Quinto Casoy, 37 years old, married, and a resident of Barangay Hanagdong, Malimono. Enciso said the combined troops of the Regional Public Safety Battalion (RPSB) and the Philippine Army’s 30th Infantry Battalion (30IB) responded from a complaint of a concerned citizen on extortion activities being done by the NPA thru their couriers in Barangay San Isidro and Barangay Binucayan in the said municipality. Also, 30IB Civil Military Operations (CMO) officer Lt. Ryan D. Layug narrated that a barangay chairman of the said town disclosed that due to fear, the barangay council was able to pay a revolutionary tax. He also confirmed that several sari-sari stores have closed due to extortion activities of the NPA. On his part, 30IB commanding officer Lt. Col. Rico Amaro said that they will continue to reach out with the NPA brothers and sisters and convince them to live a peaceful life. “We however will not tolerate criminal acts, together with the PNP and the vigilance of our community through proactive support and reporting of concerned citizens we can prevent future extortion activities of this group," said Amaro. PROSPERIDAD, Agusan del Sur, Aug. 3 (PIA) – As part of its community relations activities, the 42nd Civil Military Operation (CMO) ‘’Panaghiusa’’ Company, 4th CMO Battalion, 4th Infantry Division, Philippine Army recently conducted its ‘’Libreng Gupit Program’’ in Barangay Awa, Prosperidad, this province. This is in partnership with the Municipal Health Office headed by Dr. Felma Caybot, MHO II for their free consultation and free check-up to all the residents of Purok 3-C in the said barangay. It was learned that the said activity is aimed to entice the relationship of military among civilian populace. Some 60 individuals have availed of the free haircut and 94 in medical check-up with the total of 154 individuals that successfully received the aforementioned services being brought by the 42nd CMO company. BUTUAN CITY, Aug. 3 (PIA) - The Department of Social Welfare and Development (DSWD)-Caraga along with its partner agencies celebrated the 38th National Disability Prevention and Rehabilitation (NDPR) week last July 18-22, 2016. The theme of this year’s celebration is “Karapatan ng Maykapansanan, Isakatuparan… Now na!” that focuses on the fundamental freedom and rights of the Persons with Disability (PWD). The week-long celebration kicked-off with a mass on July 18, 2016 at Saint Joseph Cathedral, Guingona followed by the program proper at 10:00 a.m. Among the government agencies that joined the celebration were Technical Education and Skills Development Authority (TESDA), Department of Environment and Natural Resources (DENR), Department of Health (DOH), Department of Education (DepEd), Philippine National Police (PNP), Department of the Interior and Local Government (DILG), City Government of Butuan, and Commission on Human Rights (CHR). Angelita Amista, Chief of Institutional Development Division/Protective Services Unit of DSWD, welcomed and thanked the attendees during the opening program held at Robinson Place here. Also, Commission on Human Rights (CHR) Information Officer Leonor Ledesma discussed the privileges of PWDs in accordance with the law. This includes the Republic Act. No. 10754, an act expanding the benefits and privileges of PWDs that was approved this year. “PWDs are entitled to at least 20 percent discount and exemption from the value-added tax (VAT). This includes fees and charges in hotels, restaurant, recreation centers, theaters, and among others,” explained Ledesma. “It is important that the PWDs know their every right and privileges, and people must recognize and value their existence,’’ he added. Other activities were conducted for NDPR which includes forum on the Rights, Privileges and Opportunities of PWDs, Regional Convention of the Rights of PWDs, Training on How to Handle the Behavior of Children with Special Needs, and Agusan del Norte Provincial Abilympics Competition. SURIGAO CITY, Surigao del Norte, Aug. 3 (PIA) – The Surigao del Norte Provincial Public Safety Company has successfully nabbed Gigaquit town's most wanted criminal in Sitio Baoy, Barangay San Isidro, Gigaquit. The police personnel served the two warrant of arrests of murder and attempted murder against Josefino Galez Cabil, a team leader of Squad Dos under SPP - 16A, Guerilla Front 16, Northeastern Mindanao regional committee. The operation was launched upon the receipt of intelligence report on the whereabouts of Cabil. Cabil was charged with murder and attempted murder with P120,000 bail at the sala of Judge Victor Canoy dated July 21, 2015 of the Regional Trial Court Branch 29 in the city. BUTUAN CITY, Aug. 3 (PIA) - The Overseas Workers Welfare Administration (OWWA) recently approved Board Resolution No. 6 series of 2016 which provides one-time financial assistance in the amount of P20,000 to each qualified Overseas Filipino Worker (OFW) under the Relief Assistance Program (RAP). The program aims to cushion the impact of forced unemployment and income displacement affecting OFWs in the Kingdom of Saudi Arabia (KSA) and their families through the financial support. Aside from the monetary assistance granted to the affected OFWs still at the jobsite, their families are also provided with P6,000 worth of financial assistance. Repatriated OFWs may claim their assistance at the OWWA Regional Welfare Office nearest their residence. To qualify for the program, affected OFWs still at jobsite shall submit Accomplished Application Form and Proof of Identity (passport, iqama, payslip, employment contract, among others); for repatriated workers, they shall submit Accomplished Application Form, passport or travel document, proof of unpaid salaries/benefits (i.e. SPA in favor of Philippine Embassy/Consulate official, employer certification, complaint filed in appropriate office, etc. ); for families of affected OFWs still at jobsite submit: Accomplished Application Form, proof of relationship to OFW (photocopy of birth certificate of the OFW, if OFW is single; photocopy of Marriage certificate if OFW is married); one valid government-issued ID with picture. In a press conference of the Department of Labor and Employment Regional Coordinating Committee (DOLE-RCC) held recently in one of the local convention centers in the city, OWWA Caraga regional director Samuel Madrid urged the media partners to help the agency in disseminating the program so that the families of affected OFWs will be informed of the program availment. “We would like to ask our media partners to help us disseminate this program among the families of the qualified OFWs in order for them to avail of the program,” bared Madrid. Do you have any idea on the smoking status of Filipinos now? As shown in the latest survey by the Food and Nutrition Research Institute of the Department of Science and Technology (FNRI-DOST), the proportion of current smokers, 20 years old and above decreased from 31.0% in 2008 to 25.4% in 2013. Current smokers are those who smoked during the survey either on a “daily” or on a regular/occasional basis; those who do not smoke daily but who smoke at least weekly or those who smoke less often than weekly (WHO 2008). Looking at the prevalence by age groups, smoking greatly occurs among the 40-49 years old while the poorest quintiles still have the highest rates of smoking. We all know that smoking is addictive. Once you start smoking, it is hard to give up. The best rule is never to start smoking. As one of the government efforts to remind the public, the FNRI-DOST included smoking in the 2012 Nutritional Guidelines for Filipinos (NGF) 10th message: “be physically active, make healthy food choices, manage stress, avoid alcoholic beverages and do not smoke to help prevent lifestyle-related non-communicable diseases”. BUTUAN CITY, Aug. 3 (PIA) - The Commission on Population (POPCOM) Caraga in coordination with the Local Population Offices closely monitors the growth and development of the 100Mth symbolic babies in the region as they celebrated their 2nd birthday on July 27. The child’s growth and development was monitored through the Early Childhood Care and Development (ECCD) Card which were issued by the Local Health Office to the parents of the child. Also monitored are the services on proper nutrition, complete immunization, and comprehensive health care and other socio-economic support system which is necessary in line with every child’s growth and development. POPCOM Caraga regional director Alexander A. Makinano revealed that the 100Mth symbolic babies symbolized hope and challenge for every Filipino, a call to make everyone count in development and live a healthy, productive and livable environment. It is also a challenge to all institutions and every Filipino to count on each other to have a well-planned, healthy, happy and empowered 100 million Filipinos. The POPCOM Official pointed-out that the first 1,000 days of a child’s life from pregnancy through a child 2nd birthday is a critical window of time that sets the stage for a person’s intellectual development and the lifelong health. “With proper planning and spacing of the next birth, the child will be provided with the basic needs which is empirical for her/his growth and development,” Makinano quoted. BUTUAN CITY, Aug. 3 (PIA) – Preparations are on-going for the 15th Human Resource and Skills Development (HRSD) Conference. Caraga Region will host the annual gathering of Technical-Vocational Sector in Mindanao on August 9-11, 2016 in Surigao City. Liza B. Budtan, Regional Operations Division (ROD) Chief of the Technical Education and Skills Development Authority (TESDA)-Caraga said no less than President Rodrigo R. Duterte was invited to be the keynote speaker of the event for which some 600 participants from the six regions in Mindanao are expected to attend. “President Rodrigo Duterte was invited to give his keynote speech and right now, we are waiting for his confirmation,” she said. Aside from the president of the Philippines, other dignitaries who were invited include: Former TESDA Secretary and now Senator Emmanuel Joel J. Villanueva who will give an Inspirational Talk; TESDA Sec. Guiling A. Mamondiong, Labor Secretary Silvestre Bello III who will speak on the “Philippine Employment Trends in the Context of Global Development”. Also, TESDA Deputy Director-General for Policies and Planning Rosanna A. Urdaneta will discuss on the “Challenges and Opportunities in Human Capital Investment.” TESDA Region VII Director Florencio F. Sunico, Jr. will be presenting “Leading Organizational Change” while National Economic and Development Authority (NEDA) Regional Director Myla Faye Aurora Cariño is set to discuss the “Education and Mindanao Development”. 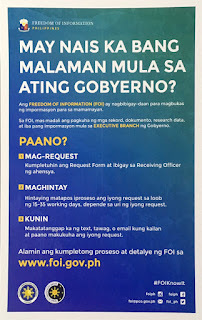 BUTUAN CITY, Agosto 3 (PIA) - Ipinagdiwang ng mga Butuanons ang ika-66 na Adlaw Hong Butuan o anibersaryo ng pagkakatatag ng lungsod nitong Augosto 2, 2016. Naging makasaysayan ang paggunita ng mga Butuanons na binubuo ng ibat-ibang sektor na aktibong lumahok sa mga akbidades na inihanda ng lokal na pamahalaan ng Butuan sa pangunguna ng City Tourism Council. Ginanap ang isang Thanksgiving Mass sa Saint Joseph Cathedral dito sa lungsod ng Butuan bilang pagbubukas sa Adlaw Hong Butuan o Araw ng Butuan City at sinundan ng isang wreath-laying ceremony sa puntod ng namayapang dating kongresista Marcos Calo ng Agusan del Norte first district, na siyang may akda ng Republic Act 523 o ang pagkakadeklara ng Butuan bilang isang siyudad. Sa kanyang mensahe, binigyang-pugay ni Butuan City Mayor Ronnie Vicente Lagnada ang pagsisikap ng dating Congressman at sa naging malaking kontribusyon nito sa pag-unlad ng siyudad na tinatamasa rin ngayon ng mga Butuanons. Samantala, ibinahagi rin ng dating city councilor at anak ni dating Congressman Marcos Calo na si Benjie Calo ang mga inisyatibo ng kanyang yumaong ama para mapabuti ang kalakalan sa lungsod ng Butuan mula noong taong 1950. Binanggit rin niya na noong Augosto 2, 2012 ay dineklarang special non-working holiday ni former president Benigno S. Aquino III ang August 2 taon-taon sa Butuan City upang mabigyan umano ng pagkakataong magtipon-tipon at magdaos ang mga butuanons sa nasabing selebrasyon at maipakita ang mayamang kultura at tradisyon. Matapos ang wreath-laying ceremony, ginanap rin ang motorcade, street dance presentation at trade fair na siyang highlight ay ang mga Butuanon delicacies at produktong gawa sa Butuan.